Caravan Health’s program is entirely based on change management. The program is catered and customized depending on the stakeholder involved in the program. As COO and Co-Founder of Caravan Health, Erin provides the leadership, management and vision necessary to ensure that the company has the proper operational controls, administrative and reporting procedures, people and systems in place to effectively grow the organization and to ensure financial strength and operating efficiency. Before joining Caravan Health, Erin served at CynergisTek as Vice President of Operations where she addressed process improvement as well as client satisfaction. 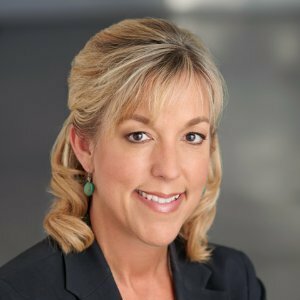 She also directed CynergisTek’s managed service business unit and was responsible for daily operations of that team and innovation around new managed service offerings that addressed clients’ needs. Erin Fulton is an outcome-driven leader with 15-plus years of management experience. Her experience includes creating and driving new healthcare services and products into hospital and physician markets while ensuring client satisfaction throughout complex IT and workflow optimization initiatives in the healthcare environment. She has deep experience guiding highly skilled cross-functional teams in the strategy, development, sales, implementation and support of leading- edge client solutions. As a highly effective communicator and problem solver, Erin forges solid relationships with senior executives and builds consensus across multiple organizational levels.